The Bearslake Inn is located in the hamlet of Lake, just 2 miles from the A30. Set in a beautiful 13th century Devon longhouse, this charming inn is easily accessible whilst set within glorious countryside, backing onto the moor. 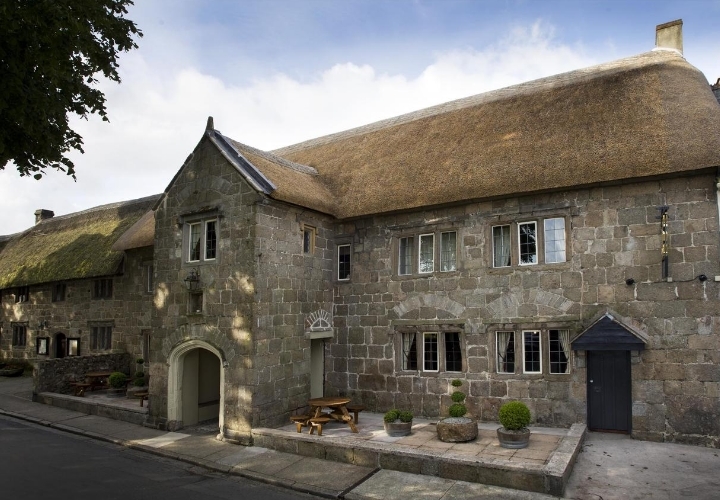 There are 6 bedrooms all individual in style and character, a snug bar serving local real ales and a restaurant set in the 16th century Dartmoor Room. 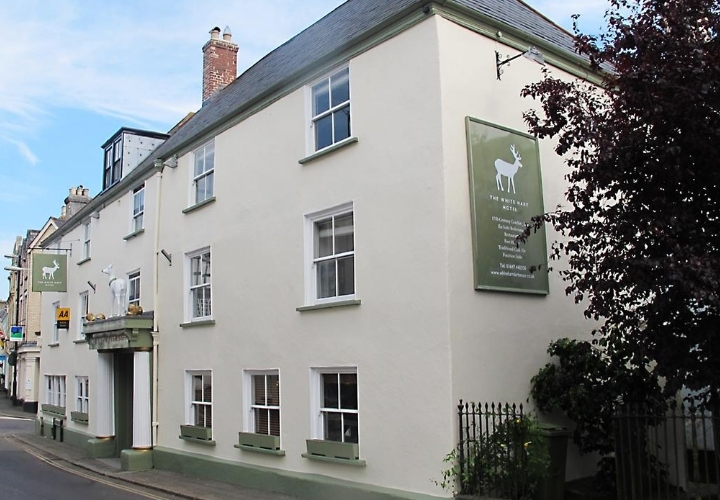 In the heart of Dartmoor in the town of Chagford, sits The Three Crowns Inn. This 13th century coaching inn boasts the warmth and character of a traditional English inn with all modern comforts and boutique style rooms. 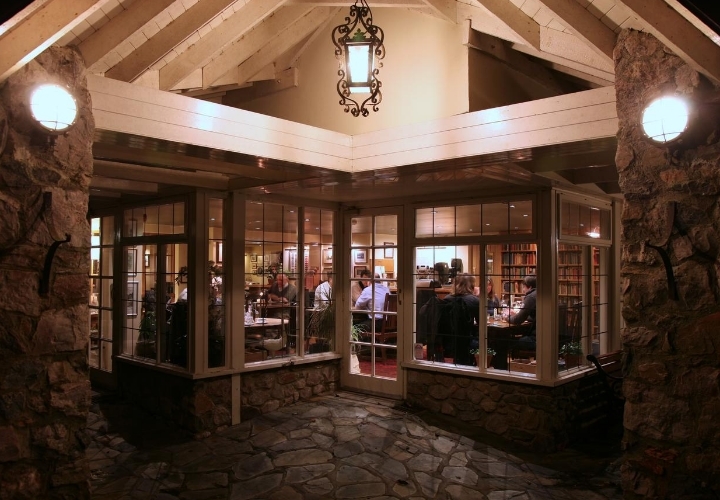 The stunning courtyard restaurant boasts a glazed roof and puts an emphasis on sourcing ingredients locally. The perfect base for your Dartmoor retreat. Set in its own beautiful, secluded grounds, Glazebrook House is a luxurious boutique hotel in stunning Dartmoor National Park. The hotel boasts an exciting and creative menu using only the best local and seasonal produce, alongside stunning bedrooms each individually designed with handcrafted furniture. This 12th century former monastery is built around the famous South Zeal Menhir Standing Stone and set in 4 acres of monastery gardens. 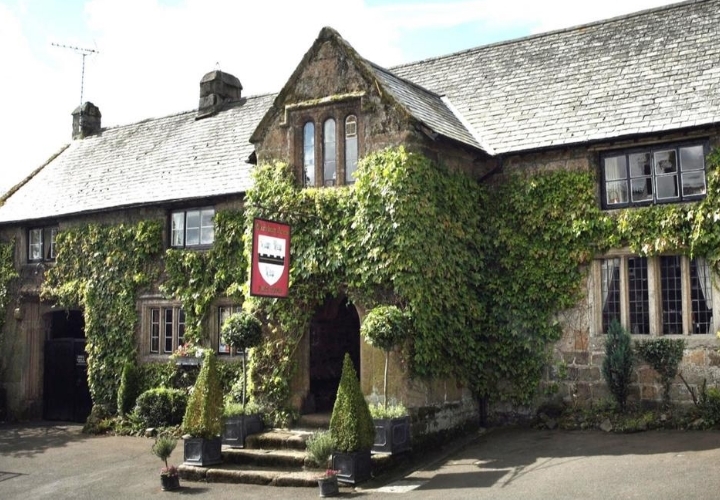 This inn is steeped in history and is one of the oldest inns in England. This traditional inn boasts traditional and comfortable bedrooms, an AA Rosette awarded restaurant with views onto the moors and a 536 year old bar with a roaring log fire. Once home to a 14th century pirate and visited by Charles Dickens, you will be in good company if you choose to stay at The Oxenham Arms. 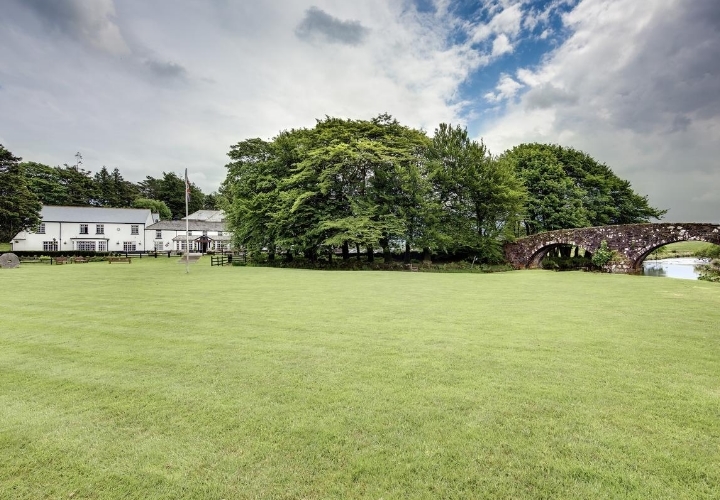 Set within six acres of grounds bordered by the River Glazebrook on the edge of Dartmoor, this former mill has been lovingly converted and renovated to create a friendly pub with rooms. 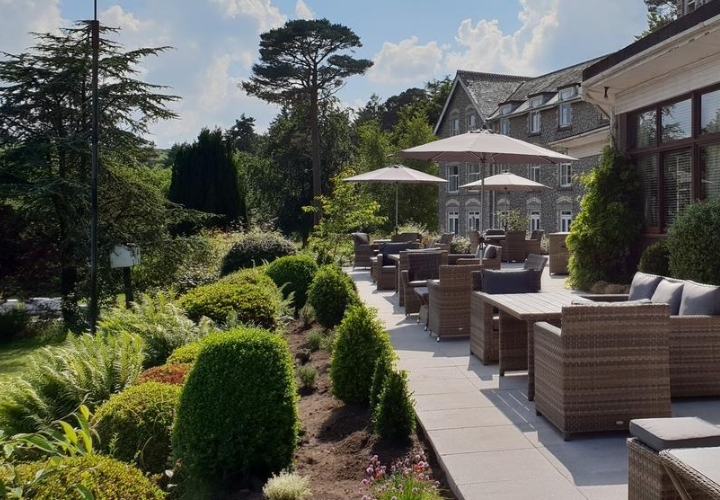 In the heart of Dartmoor National Park, on the banks of the West Dart River with breath-taking views in all directions, stands the Two Bridges Hotel. The hotel boasts characterful lounges, comfortable bedrooms and a two AA Rosetted restaurant. One of the oldest pubs in the country the Cridford Inn, dating back to 825AD, is the quintessential Dartmoor inn. This charming Devon longhouse has kept its original character and warmth, serving locally sourced food and a good choice of beverages. 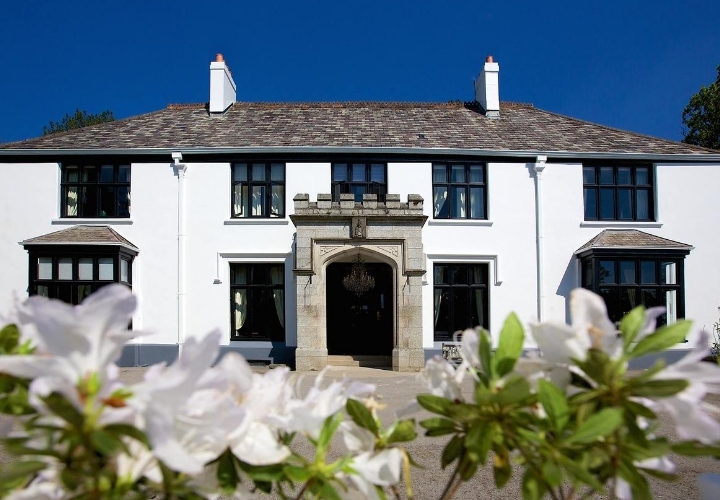 Described as a sanctuary on the Moors, The Moorland Hotel is set in 11 acres of landscaped gardens, woodland and paddocks in the Dartmoor National Park. Having recently undergone a refurbishment, the hotel offers comfortable and stylish bedrooms and a restaurant with breath-taking views. 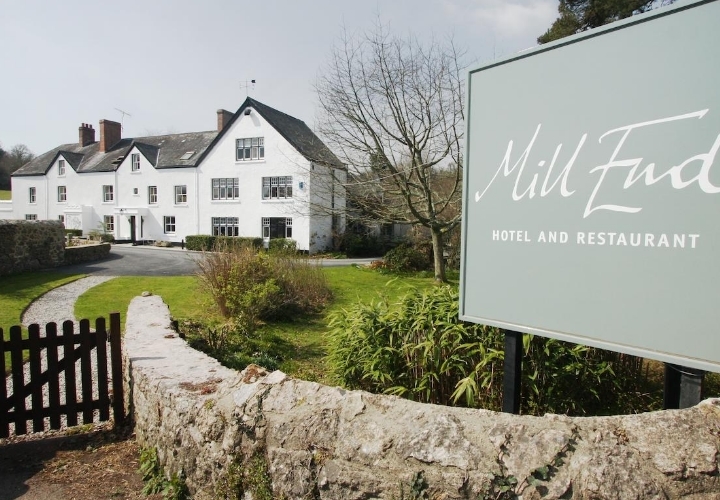 On the banks of the River Teign, Mill End Hotel is located in the wilds of Dartmoor National Park. The hotel offers elegant bedrooms with luxury bathrooms and an award-winning restaurant serving local and seasonal produce alongside comfy lounges with log fires and pretty riverside gardens. 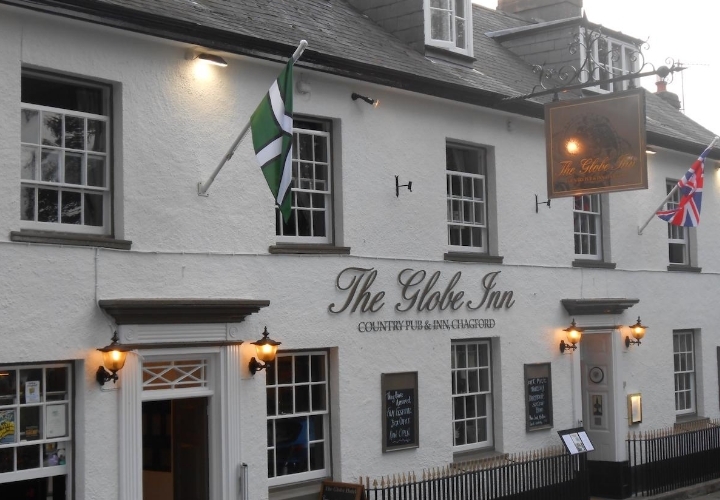 In the heart of Chagford overlooking the ancient parish church is The Globe Inn, a former coaching inn and coopery. This traditional inn, steeped in history, oozes original charm and character with open fires, good food and wine - not forgetting a good real ale! The comfortable and spacious en-suite bedrooms have been recently refurbished. 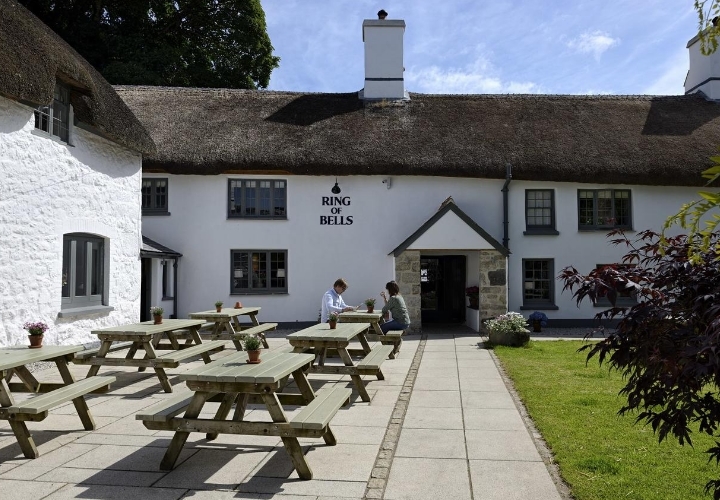 Set in the village of North Bovey in the heart of the Dartmoor National Park sits The Ring of Bells Inn. 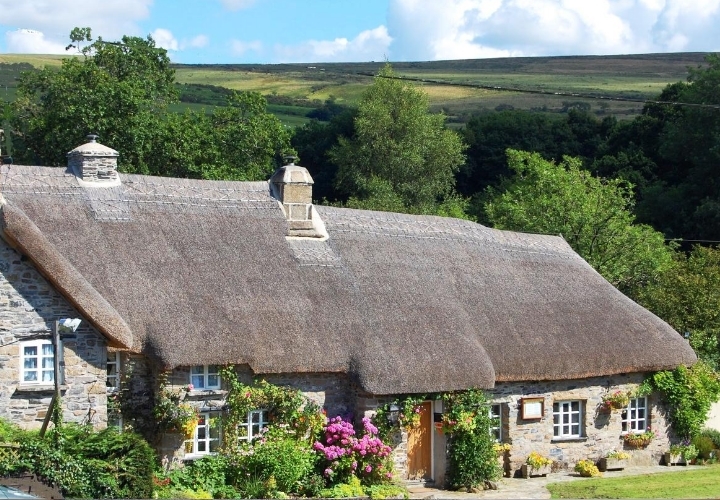 This beautiful thatched inn combines period features with comfort and contemporary style. This pet-friendly inn boasts a traditional pub offering good food and drink alongside stylish country-style bedrooms with all modern comforts. This Grade II listed traditional old posting house, dating back to 1639, is situated in the heart of Moretonhampstead. The hotel hosts comfortable pet-friendly accommodation and a restaurant that offers a menu using produce from the best local suppliers. As a free house, The White Hart offers a range of local real ales and a hand-picked wine list. The Horn of Plenty is a 19th century country house with beautiful views over the Tamar Valley. Set in 5 acres of stunning gardens, The Horn of Plenty boasts a 2 AA Rosette restaurant and elegant bedrooms with luxurious bathrooms. Welcome to Dartmoor National Park, a region steeped in mystery, myth and romance with its misty moors, swampy mires and ghostly tors. Dartmoor is famous for its rugged landscape, Dartmoor ponies, granite tors, prehistoric sites and remnants of our industrial past. The main settlement is Princetown, home to Dartmoor Prison. Over 200 years old, the prison played host to French and American prisoners of war, and hosts a fascinating museum, well worth a visit. With so much to see and do, Dartmoor is a perfect location for a weekend break away! Here you will also find ancient coaching inns, dating back to a time of stagecoaches and highwaymen. Several of the inns we feature are Devon longhouses, typical of this area. There are also sleepy country inns and cosy thatched inns, all offering a warm Devonshire welcome. "The Bearslake Inn and the Cridford Inn are both superb examples of traditional Devon longhouses, oozing with historic character and charm. Dartmoor is blessed with ancient inns: the 12th century Oxenham Arms even boasts a prehistoric menhir stone built into its walls!" 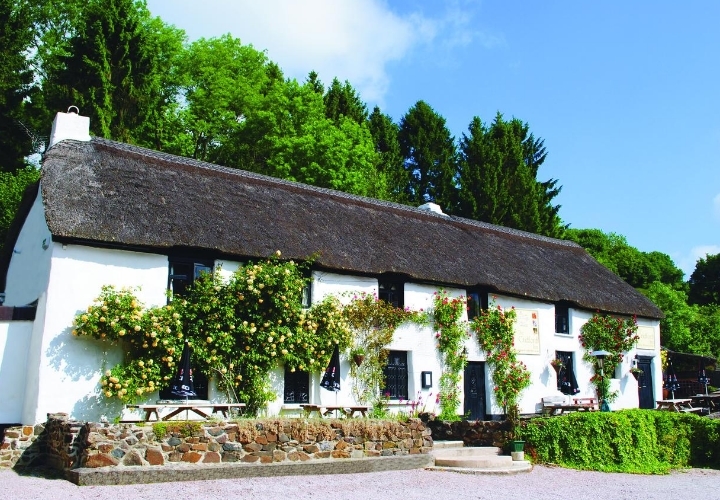 Why not check out our selection of inns in the rest of Devon? 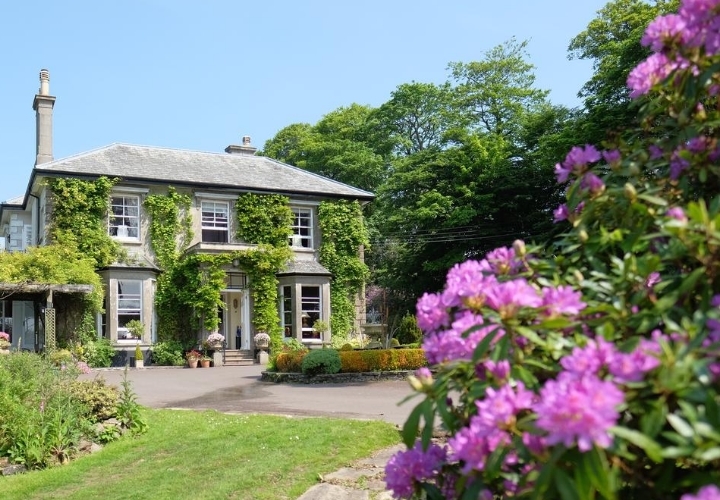 If you want to widen your search further, why not browse through our selection of hotels and inns in Cornwall, Dorset and inns in Somerset.